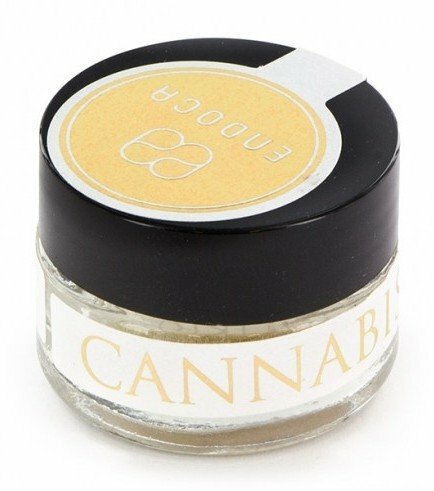 Endoca has released a CBD-product in crystal form, which delivers an extremely potent 98% CBD-concentrate. Usually, hemp oils include very low concentrations of CBD. These crystals are consumed in trace amounts and provide high-quality CBD. You can add the crystals to food and edibles. Also, you can inhale the crystals using special vaporizers. Endoca's Cannabis Crystals (98% CBD) are the perfect CBD substance to add to your daily diet. Endoca is one of the leading companies in the CBD-extracting field. The GMP grade Cannabis Crystals (98% CBD) come in a small glass jar containing 500mg of crystals. The CBD is extracted from the highest quality Cannabis sativa strains, which are organically grown in EU. Endoca Cannabis Crystals contain pure cannabidiol (CBD) 98% and 0% THC, therefore the Cannabis Crystals (98% CBD) will not produce the potential “high” effect. Terpenes are also present in the crystals, such as Limonene, Myrcene, Alpha & Beta -pinene, B-caryophyllene, Linalool, Caryophyllene oxide, Humulene, and Terpinolene. It’s recommended to take the Cannabis Crystals (98% CBD) 3 times a day. The easiest way of ingesting the crystals is simply by placing them under the tongue, in small amounts. It is not recommended for pregnant women and lactating mothers to ingest this product.